Meni Mazuz was born in Tunis in 1955 and emigrated to Israel in1956. Following his military service in the Israel Defense Forces, he completed his LL.B. degree with honors at the Hebrew University Faculty of Law in 1980. From 1981 to 1994, Justice Mazuz served as an attorney in the State Attorney’s Office, in the Criminal Division and then the High Court of Justice Division, and from 1981 to 1987 was a lecturer in the Hebrew University Faculty of Law. Justice Mazuz served as the Deputy Attorney General in the Ministry of Justice from 1994 to 2004 and as the Attorney General from 2004 to 2010. From 2010 to 2014, he served as a lecturer in the faculties of Law in the Hebrew University and Tel Aviv University. 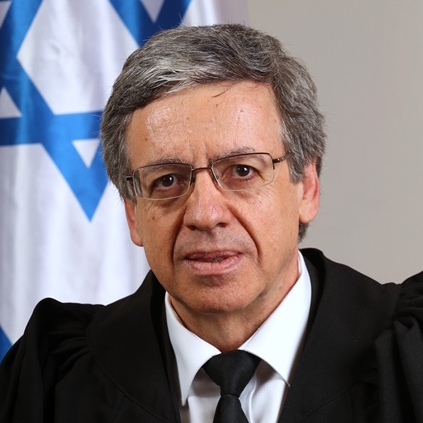 In November 2014, he was appointed Justice of the Supreme Court of Israel.